All the wedding fun is over and you’re relieved it all went well. But feeling a little overwhelmed and nostalgic, you start opening the wedding gifts. And even though you had a wedding registry, you might have chosen a wrong item or some guests might have gotten you something of their choice anyways. There’s that toaster you already have and the book you’re never going to read. It happens. Among all the gifts, there’s bound to be something you don’t really know how to use. Or have only now realized that it’s not so useful after all. So what to do with these things? We’ve gathered some ideas that will hopefully help you handle that unexpectedly unwanted item. There’s always this (more or less obvious) choice. Take the gift to the store and change it for something you need and will use. The only thing you need to be careful about is that you check the return policy. You don’t want to go all the way to a store only to find out you cannot do anything. Well, you might not want to be all that straightforward about it when someone asks, but if you really don’t like it or don’t need it, then selling it might be a good idea. Especially as long as it’s still new and unused and before it starts losing value. You can use the money for a good cause, a vacation fund or acquiring something that you can use! Depending on what the item in question is, find a charity or an organization that accepts gifts and help someone in need. A shelter will surely make use of a new kitchen item or bed sheets or cutlery. Well, not the best and certainly the least useful thing to do. But sometimes everything works out with time and just when you were about to forget about a present, you start feeling like having some cheese fondue. And hey, guess who owns a cheese fondue set? You do! You just have to bring it to the kitchen. You could use it as a gift for someone else. The only thing you need to be REALLY careful (and this cannot be highlighted enough) about is that you don’t give it to the person you got it from. But if an item makes you think of someone who it would be perfect for, then why not give it to them and make the product useful. If it’s an item you cannot use as it is, why not think outside the box and get creative. Obviously this depends on what kind of an item it is, but some things can be quite versatile and used in different ways. You can use a bench as a storage area, on the balcony or as a flower pot holder. Give your imagination a free run and you might just get surprised by what you come up with! 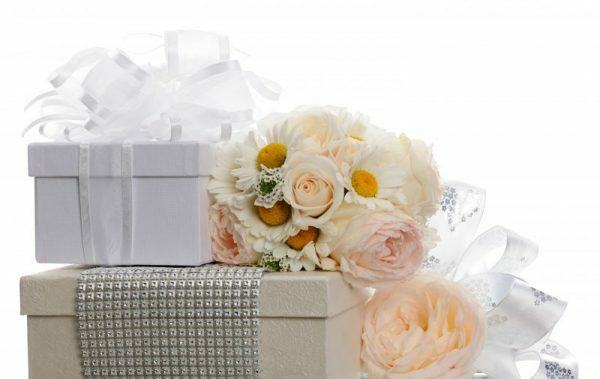 The post 6 things to do with unwanted wedding gifts appeared first on Her Wedding Planner.